IP cameras have brought great advances in surveillance technology, including better image quality, scalability and flexibility of use. However, one of the IP cameras biggest advantages is the software they use, specifically, the ability of video management software to integrate with other security systems in order to achieve a holistic security solution for educational facilities. Video management software, also known as VMS, controls the actions of all the IP cameras on a single network, and allows users to access video feeds from the network both in a central location and on mobile devices. Not only does this make it easier for on-site security personnel to do their jobs, it also helps local municipal authorities, in the event they are needed. If the authorities are running the same VMS systems, they can easily access this information and quickly react to security threats. 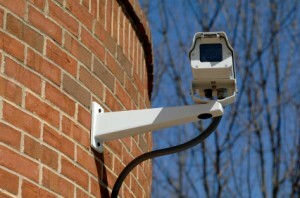 VMS systems also allow for easy investigation of security events after they happen. This makes it easy to determine who was complicit in a security disturbance. VMS systems also have the advantage of being able to run high-resolution videos on low-bandwidth networks, which is beneficial if it isn’t in the budget for a school to overhaul an older network. In addition to major security threats, VMS systems also make it easy to keep track of minor discipline issues, or monitor the flow of students between classes to better direct traffic or change class schedules in order to eliminate bottlenecks. Facility management is also made easy with VMS. When integrated with the HVAC system, cameras can tell the system when to turn heating or cooling on an off, based on whether or not a room is occupied, thus cutting energy costs. Overall, video management systems improve the school’s ability to react to security threats, and when integrated with other school systems, can improve facility processes as well. This entry was posted on Thursday, November 7th, 2013 at 2:57 pm. Both comments and pings are currently closed.